This statement was presented by Clean Lakes Alliance Executive Director James Tye to the Dane County Lake Level Task Force on March 5, 2019. 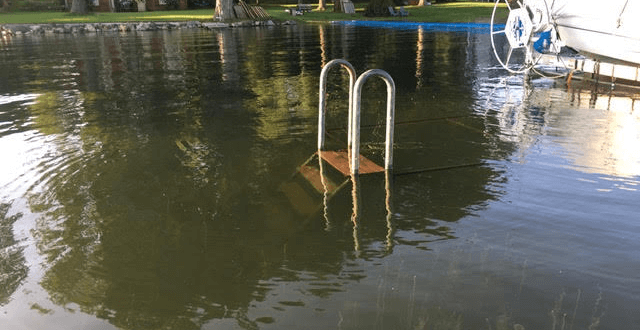 Clean Lakes Alliance applauds the leadership of the Dane County Board and the Dane County Executive in putting $12 million toward flood recovery and lake improvement projects in the 2019 budget, and in creating the Technical Work Group and task force to address recent flooding around the Yahara Chain of Lakes. We believe these initiatives help move us toward becoming a more resilient community. But we need to work together as a community to address the increasing volume of water and runoff BEFORE it enters our lakes and waterways. From May to September, volunteers at piers and beaches around the five Yahara lakes measured near-shore water clarity, air and water temperature, and noted several visual observations. Visual observations included presence of algal blooms (green/blue-green), floating plant debris, swimmers, waterfowl, wave intensity, and general water appearance. Volunteers were asked to log condition reports at a twice weekly minimum on our website, Lakeforecast.org, where all data are updated in real time. In the Yahara Watershed, salt applied to roads and sidewalks ultimately makes its way into our lakes and our drinking water. Road salt has been used as a deicer on streets in Dane County since the 1950s, and over the last 50 years, average concentrations of chlorides from salt in our lakes have steadily increased.